If a person lacks the drive or motivation to succeed, rest assured success in not in their future. When hiring a millennial, you are probably eager to see the new ideas and supreme dedication that other companies are seeing in this group of talent. However, just like any other candidate, if you hire a millennial who lacks the motivation and desire to succeed, you will see little return from your investment. When interviewing millennials, make sure that you are paying attention to their past endeavors and achievements. Don’t limit this to only full-time work experience, but also consider past internships and volunteer work. One of the many attractive qualities of millennial talent is their desire to learn in order to succeed. This talent group understands that it is important to be familiar with the ins and outs of business if they want to be successful. If you’ve found a millennial who is asking a lot of good questions about your business and paying close attention, this can indicate an eagerness to learn about and grow with your company. An excellent way to determine if your millennial candidates will be successful is by observing the types of questions they ask. If a candidate is not asking questions during the interview, consider the possibility that they simply don’t care and are looking for a paycheck versus a career. Millennials with the potential for success will ask well-thought-out questions. Sometimes, you’ll find that the questions they ask are ones you never would have thought to ask. Pay attention to the candidate’s questions and determine if they are standard interview questions that you normally receive from candidates or if they demonstrate thoughtfulness and out-of-the-box thinking. Hiring a candidate who doesn’t believe in your company’s vision is detrimental to the candidate’s success, as well as your company’s success. If you’ve found a millennial who is truly interested and stands behind your company vision, you will likely see great success from this person. This belief in your company’s vision can suddenly morph a boring job into a passionate career for your millennial employee. When interviewing millennials, take notice of their excitement when discussing your company’s vision as well as their reasons for wanting to be a part of your team. 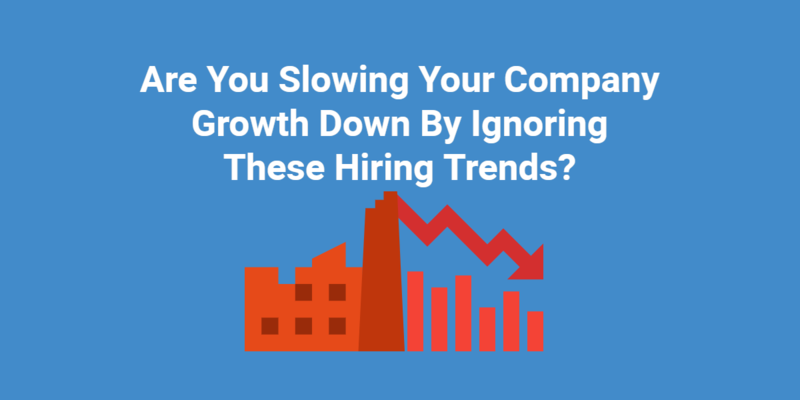 Adding new talent to your team is exciting, especially when you are hiring millennials. While your senior-level employees can add enormous value to your team, it’s important that they also understand how valuable your new millennial employees can be. Millennials are experts when it comes to many forms of technology, particularly when it comes to social media. Consider ways that you can help to foster work relationships between your millennial and senior team members. Engage your millennial employees by encouraging them to share their knowledge of social media and ways it can help your business. Your senior employees will not only gain new knowledge, but also you will empower your new millennial employees by providing them with the open atmosphere that they crave. Collaboration is extremely important to many millennials. They’re used to working in groups and want to interact with their co-workers. By encouraging collaboration amongst your team, your employees will likely feel more vested in your business. This will promote feelings of value and loyalty in your team members. Millennials can help you in promoting an atmosphere of collaboration and encourage your senior employees to speak up and contribute more. Any time you have employees who have worked for you over a long period of time, it’s easy for them to become set in their ways. Hiring millennials can shake up a stale atmosphere in your office. Millennials can bring a refreshing attitude and point of view to an otherwise stagnant atmosphere. When you encourage teamwork and collaboration throughout your team, you are offering your employees the opportunity to listen to each other’s viewpoints and consider new ways of doing things. If your team has always completed a specific job in a certain way, your new millennial employee may have an idea of how the task can be completed more efficiently. Simply having a fresh point of view can add enormous value to your team and show your existing team members how they can be more open minded about work.